Multiple sclerosis is the most common chronic neurological disorder that affects nerve cells of brain and spinal cord. It affects people of all ages but is more prevalent among 20-40 year old people. MS mainly affects quality of life rather than longevity and causes socio-economic burden to society. It deteriorates life quality by impairing person’s ability to work, to carry out routine life activities. In a healthy human being, nerve cells carry message between brain and rest of body and give command body to move, balance, feel, hear etc. Each nerve cell is covered with protective sheath called myelin. Myelin sheath can be compared with the insulation coating on electrical wires. In multiple sclerosis, body’s own immune system attacks on myelin sheath and nerve gets exposed that impair function of nerve to carry message properly. Depending on type of nerve affected, patients suffer a range of symptoms walking and sensation problem, bladder and bowel issues and fatigue. Currently there’s no cure available for multiple sclerosis. The available treatments help to lesson symptoms, slow down the disease progression and speed recovery from attacks.Several disease modifying drugs such as corticosteroid, interferon beta, copaxone etc. are approved for MS to suppress the inflammation in immune system but have side effects of insomnia, increased blood pressure, fluid retention etc. Rehabilitation therapy like physical therapy, speech and occupational therapy etc. aims to help patients improve their ability to perform effectively at home and at work, but they can not repair damage once it has done. “Recent studies in the field of stem cell therapies have offered a ray of hope to patients suffering from various neurological disorders”. Stem cells are building blocks of body – have capability to make new cells and replace those cells that get damaged or degenerated. Stem cells have ability to modulate immune system and can limit damage to nerve cells. Different types of stem cells are being exploredby scientists for their potential benefits intreating multiple sclerosis. A research study in 2017 evaluated long term outcome in patients who underwent hematopoietic stem cell transplant for treatment of MS. Nearly half of people survived free from neurological progression for 5 years after transplantation. Stem cells have ability to repair the damaged myelin sheath, ‘remyelinate’ the nerves and make them to function properly again. In a recent study, the safety and efficacy of umbilical cord tissue derived mesenchymal stem cells for multiple sclerosis was evaluated. Treatment with cord tissue derived mesenchymal stem cells intravenous infusions for MS is safe. The cord tissue derived MSC shave a high ability to multiply, and possess superior therapeutic activity in comparison to other MSCs. We at Advancells (Stem cell Research oriented Company in Delhi) also observed significant improvements in multiple sclerosis patients with stem cell injections. 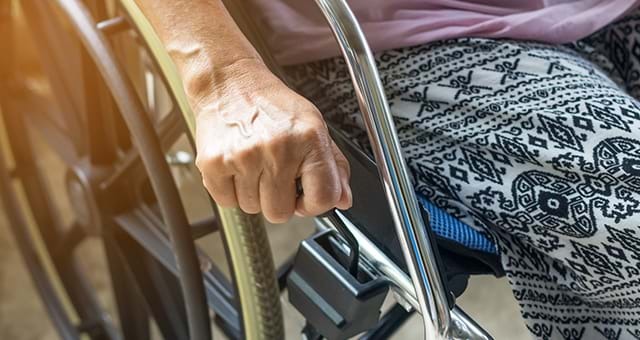 Researchers hope that stem cell therapies will open a way for new treatment modality for multiple sclerosis that can both prevent damage and enable to repair it. However, much more research is needed to establish stem cells as regular medical practice for multiple sclerosis.